Photo: These brave survivors of human trafficking are happy to be learning a new skill in their seamstress class as part of our rehabilitation program. We are happy to report that we recently received three girls at our rehabilitation home who were rescued from the perils of human trafficking in Delhi. The Indian police, in conjunction with our partner child advocacy group, rescued them after they had been missing for three months. Now they are safe, receiving counseling, room & board, medical care, literacy classes, cooking classes, and acquiring craft-making, seamstress, and gardening skills through daily coursework offered by our full-time teachers. Their parents are very grateful to us for helping their daughters recover from the traumas of human trafficking. For other girls, it’s not so fortunate. An estimated 12,000 Nepalese women, mostly teenagers or younger, are being trafficked across the Nepal-India border each year, where the majority end up in brothels as prostitutes against their will. Others end up in different kinds of slavery where they’re trafficked to other countries and usually end up abused and neglected as domestic slaves. In response to these tragedies, we organize frequent trafficking awareness counseling classes for girls ages 14-17 in the heavily-trafficked areas, and for women of all ages in other areas. Last week alone we reached 170 girls and women through our training classes which are styled in a workshop and discussion format. All of the teachers and students are thankful for our trafficking awareness program which allows the girls to talk about guilt, fear, shame, anger, and their safety — they are encouraged to open up and learn from each other’s experiences. They are also taught to identify different problems and dangerous situations, and they are given the solutions. They are taught to stay away from strangers, to know the difference between true love and flattery from a stranger, to stay away from the lure of promised money and employment, to not exchange phone numbers or other information on Facebook, to understand their own responsibility towards their family and community, how to develop self-dignity and respect, and to know the laws and punishments regarding human trafficking. Our native team is doing an excellent job in educating and fostering awareness and vigilance among the girls and women. 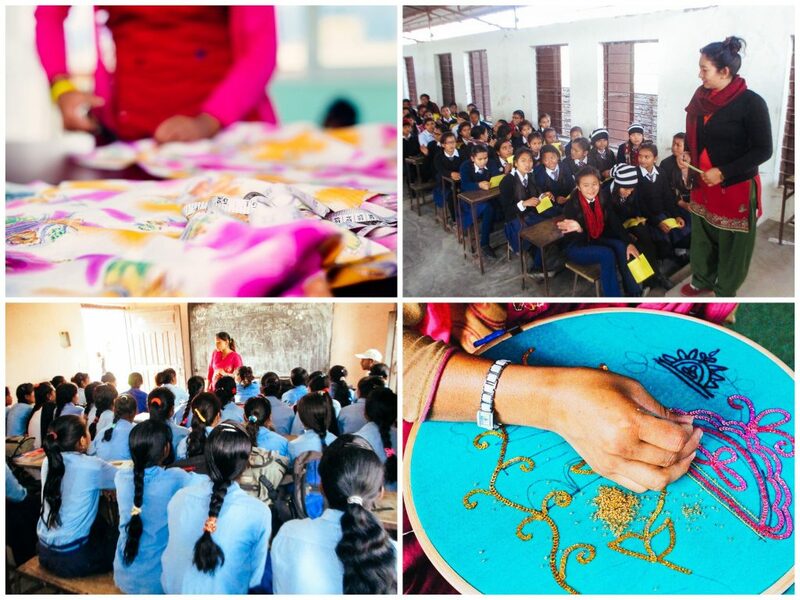 In order to supplement funding for our Nepal programs, we’ve equipped our native team with a farmland enterprise, and made the girls’ crafts available for sale online, at the She Has Hope crafts shop. Our farmland is not only providing profits for funding, but also nutritious, organic ingredients for our program participants’ meals.